Retirement Saving: To Nudge or to Shove? Two new proposals look to greatly increase the number of people who have adequate retirement plans, one by encouraging workers to save and the other by requiring them to. When The Associated Press recently profiled 80-year-old stripper Tempest Storm, the aged burlesque queen became an instant symbol — depending on one&apos;s point of view — of female empowerment, graceful aging or an unseemly desire for eternal youth. But at a time of increased economic uncertainty and a record-low savings rate, at least one astute blogger understood what it was that made this story about a hardworking octogenarian exotic dancer capture the American zeitgeist. "Stripping," read his post, "has no 401(k)." A lot of other jobs don&apos;t have one, either. 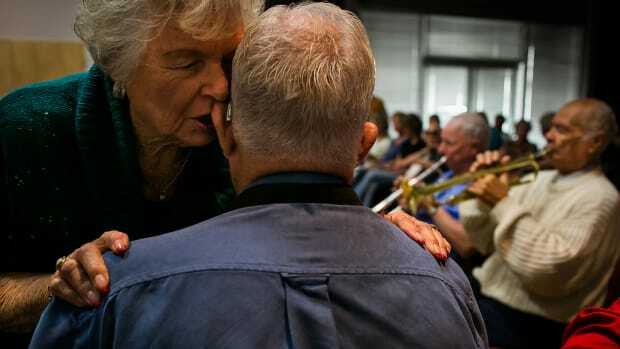 The stock market downturn and faltering economy have tended to focus attention on diminishing balances in 401(k) retirement plans and the vanishing traditional pension, but the Employee Benefit Research Institute estimated in 2007 that 78 million American workers — half the U.S. work force — have no access to an employer-sponsored retirement plan of any kind. This might not be cause for concern if Americans were disciplined savers, but on the whole, they&apos;re not: A 2004 Federal Reserve survey found that the average head of household approaching retirement age (that is, age 55 to 64) had accumulated only about $60,000 in retirement savings. That&apos;s not much more than the median annual income for an American household — certainly not enough to live on for 20 or more years in retirement, even if it&apos;s supplemented by Social Security. Older Americans could, of course, follow the example of Tempest Storm and never retire. But two new proposals aim to greatly expand the number of American workers who save enough to retire by making the initial decision to save for them. The difference between the programs? It&apos;s the difference between a nudge and a shove. Most people simply aren&apos;t wired to make good decisions about complex, long-term tasks like saving for retirement, say Richard Thaler and Cass Sunstein of the University of Chicago. In their book Nudge: Improving Decisions About Health, Wealth, and Happiness, they contrast the theoretical Homo economicus (or econs), whose only natural habitat appears to be economics textbooks, with the actual Homo sapiens (humans) who populate the planet. When standard economic theory is applied to the problem of retirement savings, they write, "People are assumed to calculate how much they are going to earn over the rest of their lifetime, figure out how much they will need when they retire, and then save up just enough to enjoy a comfortable retirement." The first problem with this theory, Thaler and Sunstein say, is the assumption that the average person can perform a complex mathematical calculation that would stymie many trained economists armed with the appropriate software. Moreover, they note, "Under the standard theory, flashy sports cars or nice vacations never distract people from their project of saving." To solve problems involving real humans, rather than econs, Thaler and Sunstein suggest that governments "nudge" people in the direction of doing what is in their best long-term interest. David John, a principal of the Retirement Security Project, wants to create just such a nudge in regard to retirement savings, using what his group calls the automatic Individual Retirement Account. The premise underlying automatic IRAs is the same one that has launched a thousand charitable giving campaigns: Get employees to commit, upfront, to parting with a certain dollar amount every pay period, and the contributions will roll in steadily. Under the proposal put forth by the Retirement Security Project — a research partnership of the Brookings Institution and Georgetown University&apos;s Public Policy Institute — most employers that don&apos;t currently offer a retirement plan (with exceptions for the very smallest and newest companies) would be required to offer their workers, through automatic enrollment, the ability to deposit on a tax-advantaged basis at least 3 percent of annual pay into IRAs via payroll deduction, up to the legal maximum (in 2008, set at $5,000 for workers under age 50 and $6,000 for those older). Workers could opt out or decrease the percentage: "You can&apos;t legislate against the &apos;damn fool&apos; factor," John cautions. But the Retirement Security Project predicts that "the power of inertia" would usually triumph, helping most workers increase their retirement savings without significant effort on their part. John, also a senior research fellow at the Heritage Foundation, recognizes how much risk and responsibility the current retirement savings paradigm places on individual workers. "The individual is assumed to be an active, educated investor," John says. "The fact is they&apos;re not. We&apos;re trying to answer that criticism through design." 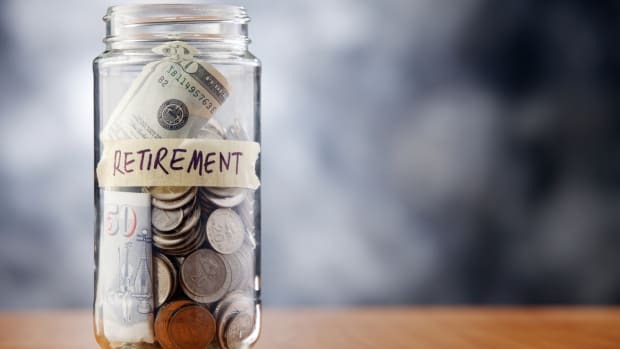 There&apos;s a precedent for making retirement saving automatic: Many features of the security project&apos;s 2005 proposal for "automatic" 401(k)s were incorporated into the Pension Protection Act of 2006. The provisions for automatic 401(k)s — that is, retirement saving plans in which employees are automatically enrolled, requiring them to opt out if they choose not to save — represent a dramatic shift in plan design. Traditional 401(k) plans require that workers make an explicit choice to participate; under that system, the power of inertia too often works against employees, who fail to enroll because they never get around to completing the paperwork or feel too overwhelmed by the various investment choices. For companies that have implemented automatic enrollment, 401(k) plan participation typically has risen from 75 percent of employees to 90 percent or more. For workers for whom saving is especially critical, such as low earners, one study showed plan participation zooming from 13 percent to 80 percent. John, who has worked on Capitol Hill as a staffer for Republican and Democratic lawmakers, notes that there is bipartisan support in the House and Senate for automatic IRAs. And Democratic presidential candidate Barack Obama has adopted automatic IRAs as part of his "plan to strengthen retirement savings." John acknowledges, however, "The auto IRA doesn&apos;t solve the whole problem. We&apos;re going to have to continue to work on this." Alicia munnell, director of Boston College&apos;s Center for Retirement Research, questions whether it&apos;s realistic to expect Americans to save more for retirement, even if saving becomes more automatic. In the new book she co-authored with Steven Sass, Working Longer, Munnell recommends that workers secure their retirement by working longer. To be able to afford retirement, Munnell says, middle-income earners who have managed to accumulate some retirement savings will need to work about two years longer, and lower-income workers who haven&apos;t saved anything will need to keep at it four years longer. She says people should get used to the idea of retiring later than the current average age, 62, "mainly because I don&apos;t think we&apos;re going to see an uptick in savings." Though not as pessimistic as Munnell about the outlook for retirement savings, John supports the idea of working longer. In a forthcoming paper for the Heritage Foundation, he plans to argue that the age of eligibility for full Social Security benefits should be raised to 68. Neither Munnell nor John is suggesting that all careers have the longevity of Tempest Storm&apos;s. But Teresa Ghilarducci, director of the Schwartz Center for Economic Policy Analysis at the New School for Social Research, says raising the retirement age isn&apos;t a good solution to the problem of retirement security. Neither, she says, is simply "nudging" workers toward increased saving. Keeping people in the work force longer simply allows employers to pay lower wages, she contends. Moreover, Ghilarducci argues, "Working longer is often not a choice for workers who develop health problems or are laid off late in their careers. ... Forty percent of workers are forced to retire earlier than they had planned, with health, or the health of a family member, the reason cited for over half of those early retirements." In her new book, When I&apos;m Sixty-Four: The Plot Against Pensions and the Plan to Save Them, Ghilarducci proposes a savings plan called Guaranteed Retirement Accounts that would supplement Social Security — and would, like Social Security, be mandatory. Employers and employees would contribute equally to the guaranteed accounts; employee contributions would be offset by a tax credit, and the only exemptions from participation would be for workers already covered under an equivalent or a better traditional defined benefit plan. Perhaps most significant, the pooled assets would be managed by the federal government, which would guarantee a fixed, 3 percent rate of return, adjusted for inflation. To pay for the program, Ghilarducci would eliminate tax breaks for contributions to 401(k) and similar accounts, which she provocatively calls "a waste of taxpayers&apos; money." Even though revenue forgone due to tax breaks for pension plans and retirement contributions constitutes one of the federal government&apos;s largest tax expenditures, she writes, "Pension coverage has stagnated. ... Rather than increasing savings, research suggests that tax breaks mostly induce high-income households to shift savings they already have in financial assets that are taxed to tax-favored accounts." Although eliminating tax breaks for 401(k) contributions would surely spark political opposition, Ghilarducci believes Guaranteed Retirement Accounts are politically feasible, citing the findings of a recent international survey that workers — even in the U.S. — favored a compulsory savings plan to ensure retirement security. 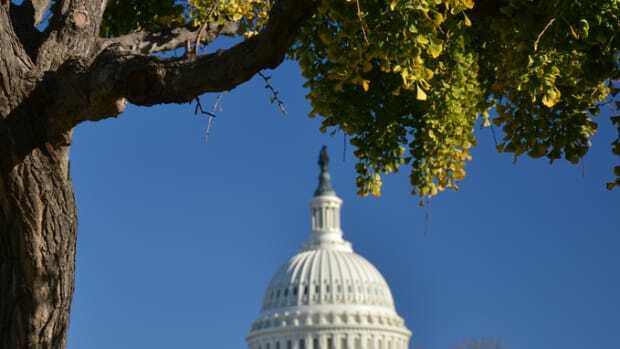 Her proposal has attracted the attention of Rep. Jim McDermott, D-Wash., chairman of the House Ways and Means Subcommittee on Income Security and Family Support, who is drafting comprehensive legislation to address social safety net issues, including pensions. McDermott is intrigued by Ghilarducci&apos;s work, his spokesman Mike DeCesare says, but it&apos;s too soon to say how her proposal might figure in the final legislation. David John also respects Ghilarducci&apos;s work — "She&apos;s always incredibly thoughtful," he says — but he thinks she may be too eager to scrap the current retirement-savings system. The automatic IRAs advocated by the Retirement Security Project would be identical to other IRAs in terms of annual contribution limits and catch-up provisions for workers who get a late start on their savings plans. "We did not want to create a new type of account," John explains. "We wanted to increase usage." Or, as he puts it, "Evolutionary is much more likely than revolutionary." For her part, Ghilarducci is skeptical of the idea, advanced in Nudge, that government can structure the options available to people so it&apos;s likely they will make better choices — without endangering the individual&apos;s ability to choose freely. Nudges don&apos;t work, Ghilarducci says, laughing: "I&apos;m in favor of &apos;shove.&apos;"
Amy R. Ramos has 25 years of experience in human resources, primarily in the public and non-profit sectors. She worked for California's County of Santa Barbara for more than 15 years, rising from entry-level analyst in the human resources department to supervisor. Millions of Californians—like many tens of millions throughout the country—lack adequate pension security to sustain them after their work lives end. 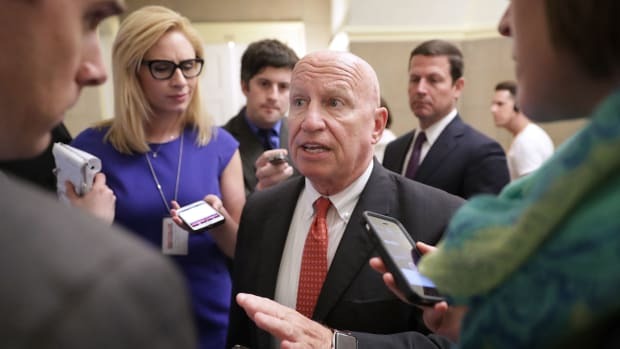 Representative Kevin Brady wants to shake up our retirement-savings system. That might not be a bad idea. Roughly half of all Americans don't plan for retirement. 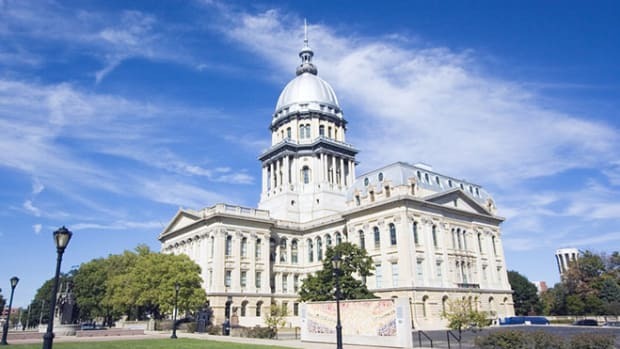 One Illinois State Senator thinks he has a solution—and it won't cost governments or businesses a dime. Congress and the White House are once again engaged in their annual budgetary dance, but there's one part of the proposal that should make them speed things up. We’re in the middle of a national retirement savings crisis, and as more businesses fail to offer retirement savings options, it will only get worse. How can we reverse this trend? Illinois might have a solution. Early retirement, bah! The people who measure our life spans say Social Security should be less something that kicks in at 65 and more something Americans tap for, say, their last 20 years.